In early August 2011, the UK’s citizens got involved in politics in a very practical way. 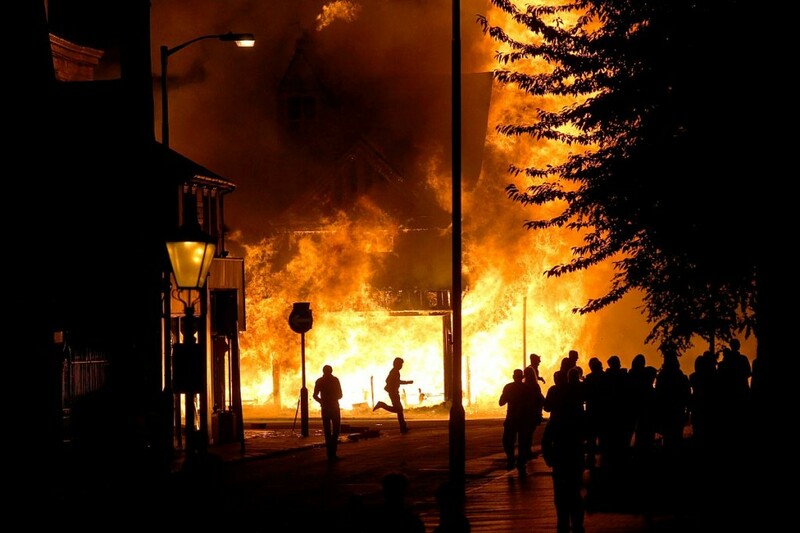 They looted, burned and rioted their way across London, Salford, Manchester and Birmingham. Commentators will debate the reasons – and the ethics – for years to come, but its clear that these were people who are not usually politically active. We need to understand why and, at the same time, find ways to encourage them to be. Without it, that August will not stand alone. For Aristotle, being a Citizen is all about involvement. Involvement in government, in decision-making, in the State. Without active involvement in the decisions of the State, one was not a Citizen. Modern thinkers, like Prof. Bruno S. Frey of the University of Zurich Department of Economics, agree. Writing in Demokratische Wirtschaftspolitik, he says “We find that direct democracy is not only more efficient but it also makes people happier than in other countries.” At the core of direct democracy is the concept of involvement. Most of us cannot be involved, as Aristotle advocated, full-time in the State, so we have delegated much of its running to civil servants and politicians. But, as the decisions made at national and even local level become increasingly remote from us, we need to become involved again. To take back the mantle of Citizenship. We may believe we have chosen to delegate our Citizen roles, but in reality, many of us have simply abdicated them. This leaves us disempowered, dispossessed and dissociated on the sidelines. Once we’ve become sufficiently remote from any idea of civic life and Citizenship, what have we to lose by smashing a few windows, stealing a few TVs? We now have the chance to get those roles back. We need to, too. Because it’s only when we’re involved in the complexity of civic decision making that we understand it. We MUST become practically engaged in the decisions of Government again.We are better educated, more literate, more enabled through the internet than ever before. So we have huge potential to be involved practically as Citizens. Not through the binary, single issue protest of e-petitions and polls but with access to information and decision-making itself. At the same time, rather than keeping us out, or fending us off, the State needs to use the internet to find new ways to let us in. Practical, local, electronic democracy. Imagine the power of the thought, initiative and ideas of 36 million citizens. Imagine the innovations that are waiting to be unleashed at local level to resolve problems and remove controls. All it takes is for the State to throw the switch from “broadcast” to “receive”.Through the internet we don’t just have access to information and a voice, we have the facility to once more become Citizens. It will take a brave government – and a patient one – to harness that facility. But the benefits for the party that chooses to change the way we are governed in this way are untold. → Dialogue or broadcast? Where’s democracy going? ← Dolores Umbridge. Now in charge of speed limit policy. Point of order: I think it’s accepted that 90% of that rioting was not political but, as best, economic (let’s nick a telly and blame an oppressive racist state) or just plain Vandalism (let’s smash everything up and thus feel a bit empowered).